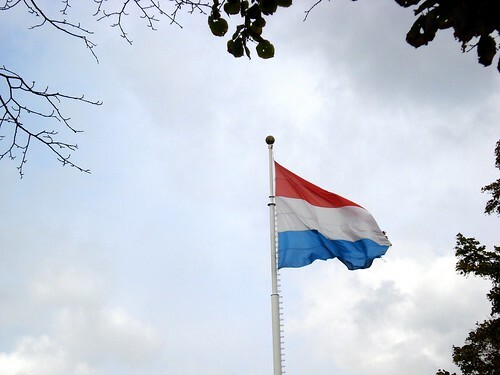 sycamore stirrings: Moving to Luxembourg? If you are, this is the post for you! Each month I receive a handful of emails from people moving to Luxembourg. They write looking for advice, some with specific questions and others just looking for reassurance. It's occurred to me lately, that I should create a page with answers to the questions I get asked most often. So here it is, a page all about moving to Luxembourg. Be sure to read the comments as they contain information from readers. Luxembourg really has no "bad" areas. It is a beautiful country that is very well maintained and safe. The only area I would avoid living is right next to the train station, but that is pretty much the case with most cities. Both houses and apartments are available to rent. Houses are either joined with another or stand-alone; both are common. The farther from the city you get the more stand-alone houses there are. Both houses and apartments are spacious. 4 bedroom homes are not uncommon here. Nice *in city* neighborhoods are: Belair, Merl, and Limpertsberg. Boinnvoie is a varied neighborhood that has areas that feel urban and areas that feel more residential. Communes out of the city: Strassen, Bridel, Mamer, Bertrange, Sandweiler. There are loads more. Keep in mind that "out of the city" can mean only 5-10 minutes away. Don't forget how small Luxembourg is. Everything is relatively close. You do get more for your money farther away from the city. Like in all places your housing cost depends on where you live, whether it's a house or an apartment, how big it is, and what the housing market is like at the time you're looking. To get a sense of price I suggest looking at the housing sections in the classified adds of angloinfo, station.lu and this housing site. There are 3 main languages spoken in Luxembourg - Luxembourgish, French, and German. I would add that Portuguese is also very common. You will also find that many people speak at least a bit of English usually more. Is it possible to get by with only English in Luxembourg? I would say yes. Pointing and gesturing go along way. However, your experience here will be much more pleasant if you can learn at least a bit of French. I suggest French because that is what the majority of shop employees speak. Shop employees includes restaurant staff. Also all legal documents are written in French as are street signs. I would learn pleasantries, how to order in a restaurant, and some basic vocabulary. There are numerous language schools in Luxembourg and many individuals who offer tutoring. Check the classifieds for tutors. The American Womens Club offers a French conversation group for beginners and one for intermediate speakers. I took lessons at Berlitz and would recommend it. Further information about languages in Luxembourg here. Lots of detailed information here. There are 3 schools that teach in English here in Luxembourg. All schools offer tours. I think it is also helpful to talk with parents who have children at the school you're interested in. The school admissions coordinator should be able to connect you with some school parents. The schools often have waiting lists. Put your child's name down on them and don't worry about it. Expats come and go and a spot may come available quickly. The International School of Luxembourg (ISL) - goes from Pre-K to high school graduation. ISL used to be known as the American school. It is located in Luxembourg City in the commune (neighborhood) of Merl. If you wanted to live close to ISL you could look for housing in Merl*, Belair*, Hollerich or Limpertsberg. * Merl and Blair are the closest. St. Georges International School - Offers an Early Years program (age 2 years 9 months and potty trained) up to GCE A Levels for students aged 16 and over. St. Georges follows the curriculum of England and Wales. St. Georges is located in Luxembourg City but farther out from the center than ISL. Neighborhoods closest to St. Georges are Hamm, Cents and the northern part of Bonnevoie. Sandweiler is also relatively close by. Local School - I do not know much about the local school system. Some expats who relocate here indefinitely do choose to put their kids in the local system. Kids are then able to make permanent friends (as many expats only stay for a few years) and learn the local language. Speaking of languages, the local school first teaches kids (age 6) to read and write in German, although Luxembourgish is spoken. Students then move onto French the following year. English is taught when students are 13-14 years old. On the playground I would imagine you'd hear a mixture of languages being spoken - French, Portuguese, German and Luxembourgish. Be sure to read the comments for more information about the local school system. Here is a link helpful in navigating the local system. I know nothing about getting a job in Luxembourg. Sorry I can't help you with that. Here are a few links that may be helpful, though. You'll need a warm winter coat, gloves, hat and boots. If you have young kids (6 and under) consider bringing a snowsuit for them. Luxembourg is cold in the winter! You'll also need a raincoat and umbrella. Yes, not only is it cold in the winter, it's rainy in spring and fall. Summer here is relatively short with June and July *typically* being the warmest. As for food, naturally you'll miss some things from home, but if you look hard enough you'll be able to find most everything here. There are Asian markets, the American Womens Club sells some American products and Little Britian sells English and American products. Auchan, a hyper-market here, has an international aisle with various products. If you're coming from the U.S. you are not allowed to bring any items with a plug. This is a recent rule. Most importantly, bring your sense of adventure and sense of humor! You'll need both daily while you adjust to life here. Living in Luxembourg - This answers every single question you'll ever have about living in Luxembourg. If you're moving here you must have it. It is put out by the AWCL. The 17th edition is in process as we speak. You can order it from Chaper 1 or buy it from the AWCL. Family Guide - Luxembourg by Viviane Bumb - Parks, day trips, classes, and more. I hope you have found this helpful. Enjoy your time in Luxembourg. It is a great country! Hi, if you have any corrections or additions or ideas for this page, please leave me a comment. I'll update it as needed. precoce and prescolaire (spillschoul) are in luxembourgish. 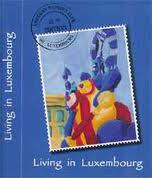 their main goal is to promote the luxembourgish language as an integratory measure. attendance of spillschoul is compulsory (unless you're enrolled in an equivalent in one of the private schools). primaire is in german (written and spoken) and luxembourgish (spoken), with french being the first foreign language from age 7 on. in secondaire, some subjects are taught in french (science, ...), and some are taught in german. english is added as a second foreign language. you're definitely right about the playground, and it's great to see how well luxembourgish works as a common language for the kids. What a great post! By the way, please don't hesitate to put people who want to know more about the lux school system in touch with me (i.e. send me their email and then I will get in touch with them, please don't send my email address out to people I don't know). I think all your information is excellent, the only thing that's maybe not 100% correct, is while it is true that the first language kids are taught in (lux school) is German, they do start French in second grade, but they will still continue being taught in German for most subjects, German won't be substituted by French completely. Mike - I can't thank you enough for providing such useful information about the local school system. Thank you for taking the time to comment, I truly appreciate it and I know my readers will too. Just managed to get five kids up and running in the local schools, and never could have done it without their guides. Very highly recommended! Hi all - I'm new to the site but am so pleased my random Google search found it. I live in Seattle (well - Bainbridge Island) and we are very seriously considering moving to Luxembourg for two years. My husband works for Amazon.com and we have two kiddos (1st & 4th grade right now). I would love to be able to get in touch with any of you via email especially regarding schools. We may not be able to afford the private schools (I'm considering not working while we're there) so all the info on the Lux schools is VERY much appreciated! Jannine, have you guys decided to move to Lux? MY husband works at Amazon too, we live in Seattle and we just accepted an offer at the Lux office--will be moving in the next month or so. I would love to connect with a fellow Amazonian family/Seattleite once we get there. We have a two year old and a six month old. Can anyone tell me more about the neighborhoods? I am moving there in August, and want a fun part of the city, comparible to where I live in Chicago. Anyone know what the "hipster" part of Luxembourg City would be? I would like to be out in touch with anyone via email, regadring school systems there, requirements, and age they must start, homeschool info, etc. Also, i would like informtion on healthcare and pregnancy. If i were to be a pregnant us citizen and move to luxembourg temporarily for my husbands job, what is required medically for prenatal care and delivery, etc. We would only be there a year and a half at most. Thank you so much!